The JUDAS PRIEST frontman duets with Brink on the song “Black Wedding” — and Maria says that Halford added his vocals after all the other parts were already laid down. IN THIS MOMENT guitarist Chris Howorth told Metal Wani in a recent interview that Halford was a natural choice for the “Black Wedding” track. “A couple of years ago, he actually expressed interest in our band and came to see us. It blew our minds completely. We became friends with him from that point. “Ritual” was released on July 21 via Atlantic Records in partnership with Roadrunner Records. 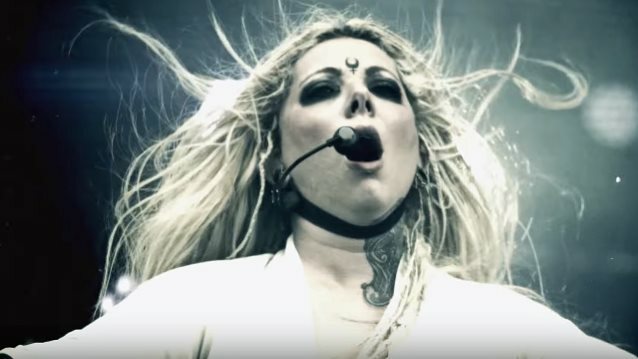 Listen to “DOMKcast with Maria Brink From In This Moment” on Spreaker.